It’s that time of year again. 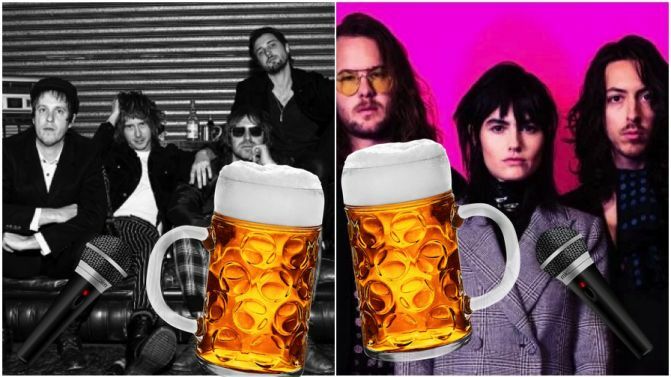 Sydney is raising its steins in honour of Beer Week and local brewlords Young Henrys are teaming up with your fave dive bar Frankies Pizza By The Slice for their third annual Rock N Roll Circus. This year’s festivities will see members of some of your favourite local riffsters, including The Delta Riggs, The Preatures, DZ Deathrays, Bad//Dreems, PARTY DOZEN, GANGgajang, Sloan Peterson, The Dead Love and CLEWS team up for an epic karaoke party celebrating two of our favourite things: 90’s songs and BEER. Melbournites All The Colours will open proceedings followed home town heroes SCABZ before the all-star karaoke sesh of 90’s bangers will get underway. It’s all going down this Thursday, 1st November. Check out the official Facebook event here for more info.